The Weber River system is very similar to the Provo River system as it’s separated by a series of dams. It contains some of our bigger brown trout in the state. Although fish populations are lower than the Provo River system, the fish in the Weber are larger on the average. 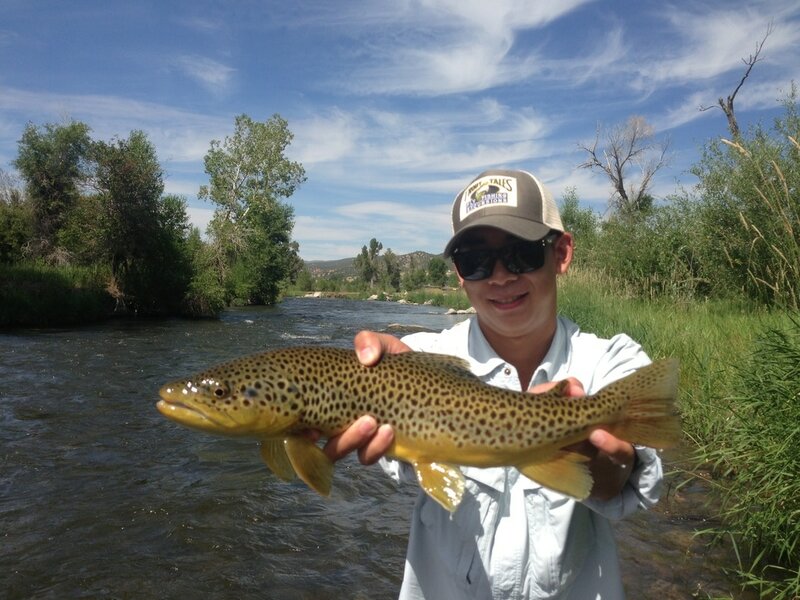 The Weber is known for thick Mothers Day Caddis, big stoneflies and great streamer and nymph fishing opportunities. The river originates at the west end of the Uinta Mountains on the north slopes of Reids Peak and Bald Mountain. It drains northwest into the Great Salt Lake. History suggests that the river was named for a Dutch sea captain, John H. Weber, who traveled west as a trapper with General Ashley in 1823. He was killed near the river shortly after his arrival. The Middle Weber River starts at the base of Rockport Dam in Rockport State Park. 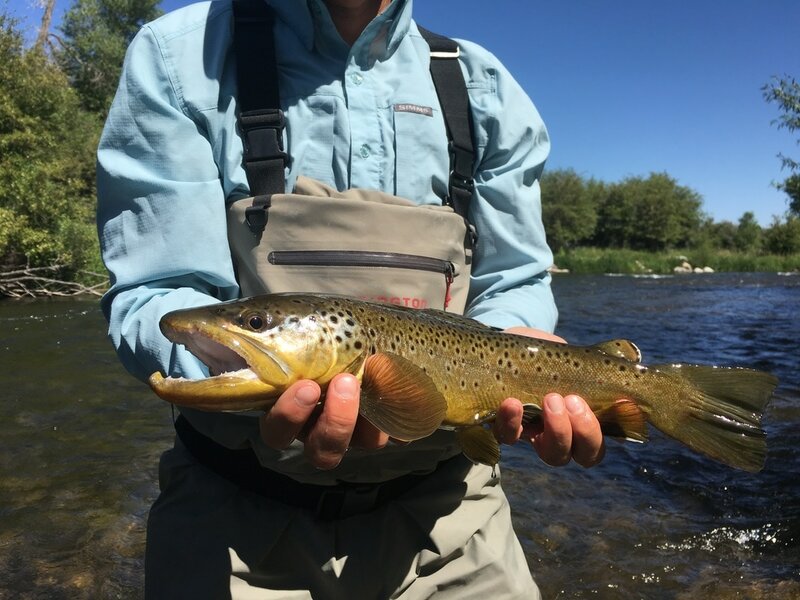 While the Provo tends to be the most popular trout stream, the Weber River is another great alternative that is less known, but very productive. The Middle Weber has a plethora of aquatic life. 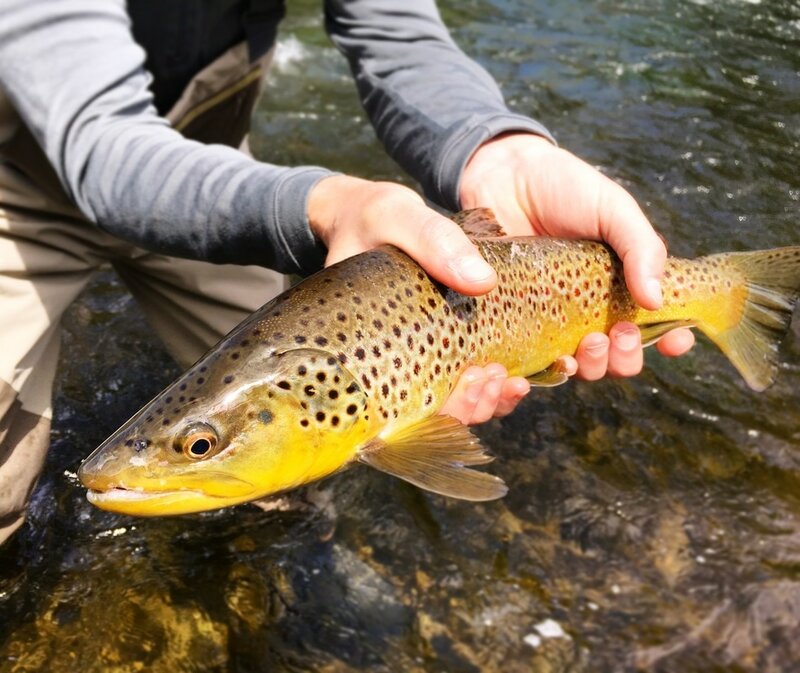 Caddis, stoneflies, mayflies, midges, and sow bugs help keep these fish growing year round. The Middle Weber winds 13 miles through farmland paralleling Interstate 80 and empties into Echo Reservoir in Coleville Utah. 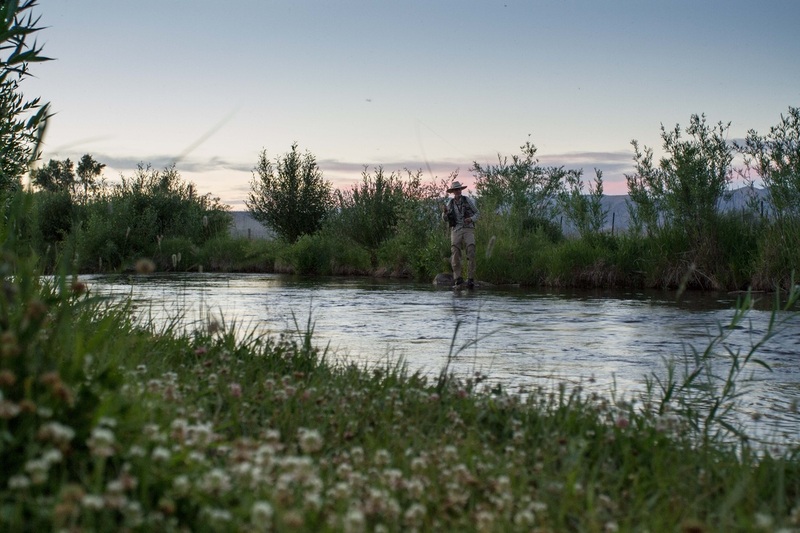 There is a mix of public and private access on this lesser known Utah river. 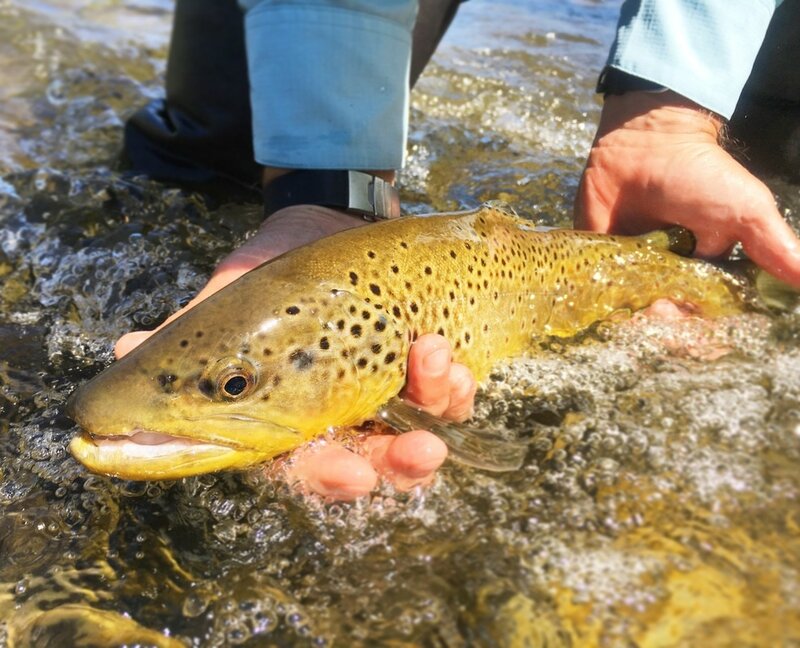 You may not hook as many trout as you would on the Provo, but you could just hook that fish of a lifetime!